EUR/USD jumped to a two-year high of 1.1659 before ending the day at 1.1630. 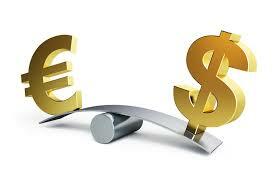 The currency pair is mildly bid in Asia around 1.1634 levels. The spot may look overbought as per the 14-day RSI, but the one-month 25 delta risk reversal suggests there is not stopping the EUR freight train. The uptick in the 25 delta risk reversal (more demand for call options) adds credence the bullish break in the EUR/USD pair above 1.16 handle and indicates that any pullback is likely to be short lived.